One of Pink’s favourite reading activities is when I give her worksheets where she has to cut out the words and paste them in order to make a sentence. She does not even realise that she is practicing her reading. We got a number of these great worksheets from The Phonics handbook by Sue Lloyd and The Grammar Handbook. While I am sitting here writing, she asked if her “school work” today could include some more of the worksheets we did yesterday (you know you are onto a good thing when they actually ask to do the work). We love the Jolly phonics program but what I found early on was the Activity books where not enough if you are using them for Homeschooling. The Activity books are great for introducing the sounds and the workbooks are great for practicing writing but for extra pages the Handbooks really are the answer. 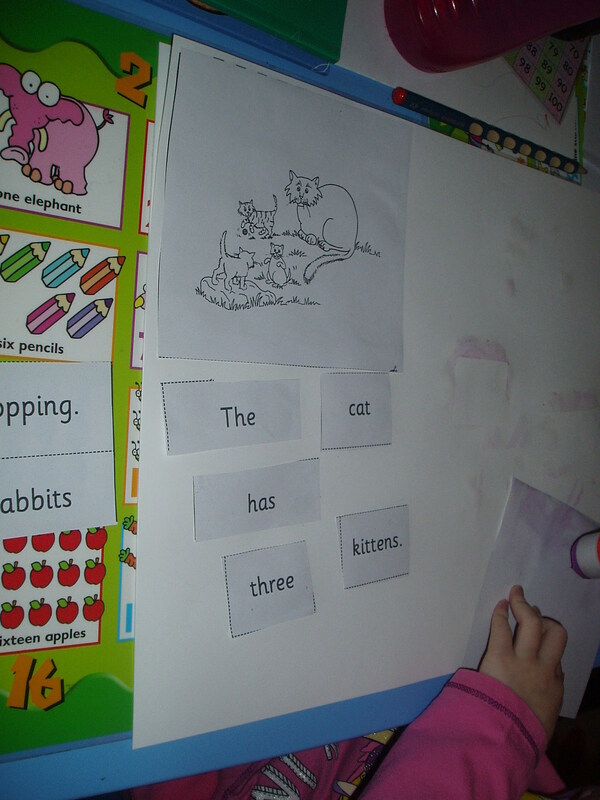 This entry was posted in Homeschooling and tagged english, Jolly Phonics. Bookmark the permalink.